1. Kayak above aquamarine seawaters! Know your way around the island by kayaking above their crystal clear waters. You can clearly see the fishes swimming beneath you upon the shallow parts of the water. No kayak? No worries. 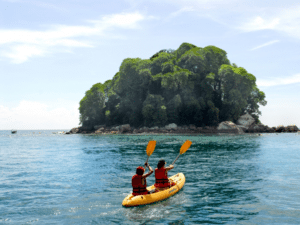 Hotels there have kayak rentals so you don’t get to miss out on the fun! 2. 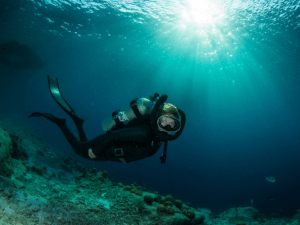 Attain a Diving License! Sure kayaking is fun, you get to see fishes. Whoopee! But wouldn’t it be more fun if you could swim with them and get to have a closer look? Tioman offers its guests who stay more than five days a diving license for only RM 1000 which is quite affordable when compared to other license rates around Malaysia. 3. 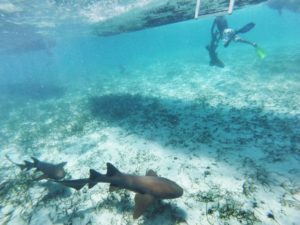 Snorkel along with sharks! Make the best out of your license by snorkeling. But get this; it’s not your ordinary snorkeling activity. At Tioman, you get to snorkel with SHARKS! Locals say that the Black Tip Reef shark are often spotted off the shores of Tioman. If you’re lucky, you get to take amazing photos and share the experience with the world! 4. Play the “I spy with my little eye” game! Tioman Islands are not only rich in marine fauna. 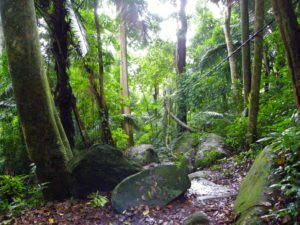 Have fun spotting the paraphernalia of animals Tioman forests have to offer! With colors that could camouflage and ninja skills in staying still, it easy to miss them! You’d think they’re part of a tree! 5. Watch the sunset for a romantic date! 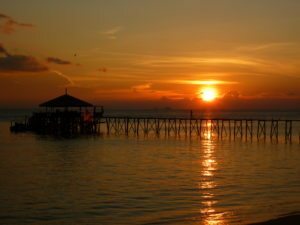 At dusk, the Tioman shores are tinted sepia, the sand more orange, the water darker, our skin soft to the eye. This is the perfect moment to steal a kiss or just appreciate the view and the company in silence. It could be either one! 6. Feast upon delicious local food! If you love spicy food, then my friend, Tioman Island is the place for you! 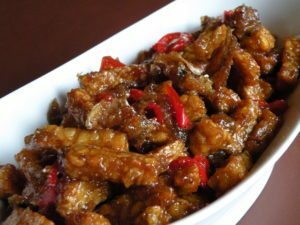 Indonesian food is really spicy, savory and tasty! Restaurants in the island could range from different Asian Cuisine to buffet meals. Get to savor the freshness of the seafood cooked in local cuisines! 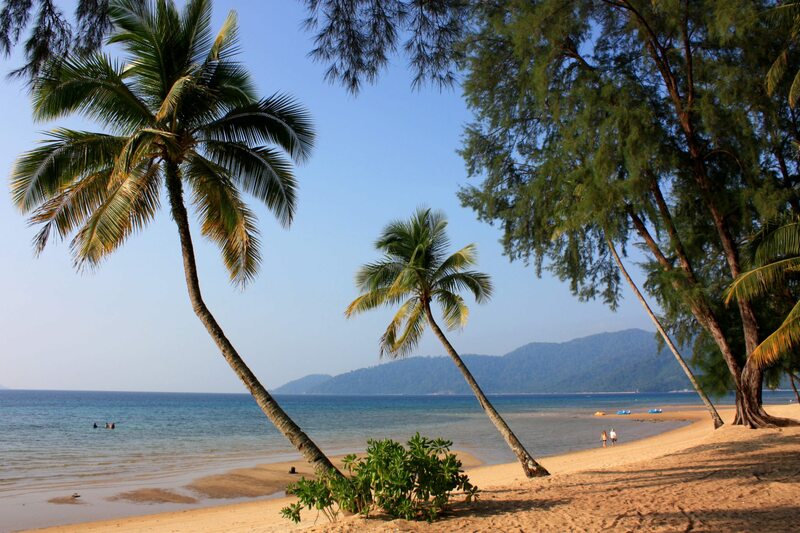 Mark those maps and calendars and make Tioman your next vacation spot! Dive Gear Haul: Here Are Our Top 5!